Ask any biologist about the most important molecule of the body and they will probably reply: water. In addition to being the primary molecule on Earth (about 70% of our planet is covered by water), it is also abundantly in the human body. In fact, it has been estimated that on average the body of an adult contains 60% water, meaning that a body of 80 kg contains 48 kg of water. Within the body water is mainly localized intra- and extracellularly as well as in the blood. Owing to its chemical properties, water is a general solvent, implying that almost any compound can dissolve in it. Consequently, the water present in the body is mainly involved in the transport of nutrients and wastes but it is also involved in the regulation of body temperature as well as protein and carbohydrate metabolism. Hence, water is clearly indispensable for life. Ensuring the right amount of water in the body is therefore of critical importance through balancing the water lost (due to for example excretion, respiration and perspiration) by the water taken. Maintaining the proper amount of water in the body is called water homeostasis and is controlled by different mechanisms. For example, at the cellular level a proper water balance is maintained through the action of aquaporins (AQPs), which form a superfamily of membrane-embedded water channels present throughout all kingdoms of Life. AQPs enable the passive transport of water across the plasma membrane, while maintaining the permeability barrier for protons and ions (1). Thirteen human AQPs (AQP0-12) have been discovered in various tissues, whereas six are found in the kidney. Importantly, some human AQPs are linked to different diseases, such as brain oedema, renal disease, diabetes and cancer, thereby raising the interest in these proteins as potential drug targets (2). Here, I will discuss biochemical and structural features of eukaryotic AQPs. The first aquaporin, AQP1, was identified in human erythrocytes in 1993 and its structure was subsequently solved in 1999, which, together with computer simulations, revealed the conduction pathway of water in AQP1 (3,4,5). In 2003, the pioneering work on membrane-bound ion and water channels was awarded with the Nobel Prize in Chemistry. It is well established that AQPs are small integral membrane proteins of about 30 kDa with six alpha-helical transmembrane domains. 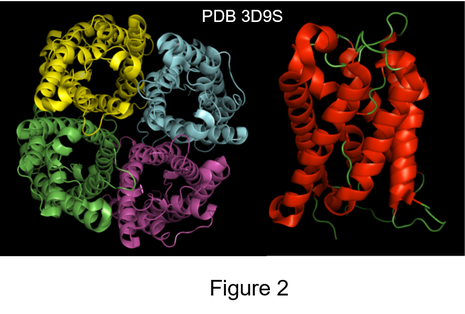 Moreover, several high-resolution crystal structures of AQPs from different prokaryotic and eukaryotic organisms have been solved (1), revealing a conserved overall structure. Figure 2 shows the structure of human AQP5, a typical aquaporin of 28 kDa which is expressed in different tissues, including the stomach, lungs, sweat glands and eyes. Moreover, defects in AQP5 are linked with Sjögren syndrome, resulting in clinical manifestation such as dry eyes and mouth. 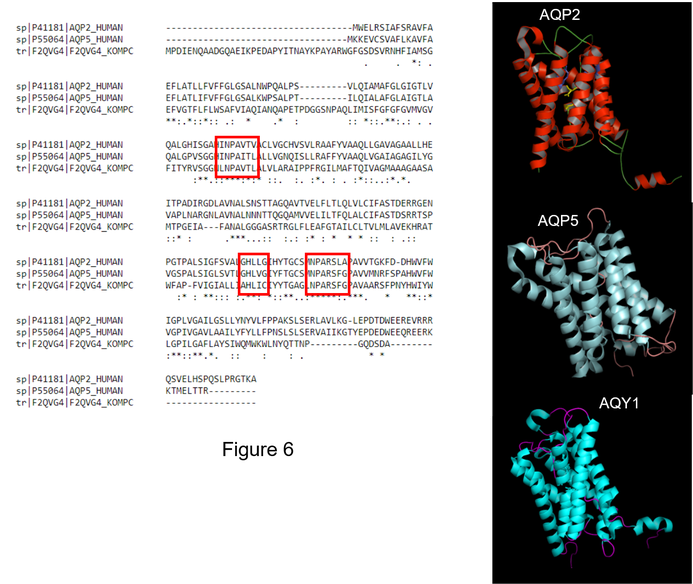 The structure of AQP5 was solved at a resolution of 2Å and reveals that in the membrane this protein is assembled into a homotetrameric complex (left panel) like other AQPs (6). The tetrameric structure contains a central pore and may enable the transport of gas, although in AQP5 this pore was blocked by lipid preventing the passage of gas. Within a single protomer (right panel), the six transmembrane domains (shown in red) surround a narrow pore (left panel), which represents the water-conducting channel and is described in more detail below. Protons can be transported along an unbroken chain of water molecules in a pore and in this respect it should be noted that both asparagine residues hydrogen bond independently with two water molecules, constraining the orientation of passing water molecules (figure 4, adopted from 1). This, in turn, disturbs the chain of water molecules, thereby blocking protons from crossing the membrane. The ar/R region contains aromatic and arginine residues and functions as a selectivity filter. The arginine and histidine residue (Arg227 and His212) are shown in blue (right panel of figure 3). The arginine residue contains a positively charged side chain, which functions as a barrier by repulsing positively charged protons. Moreover, water molecules hydrogen bond with the arginine and histidine residues, which forces a pairwise movement of water molecules through the selectivity filter similar to wat is observed in ion channels (figure 4, adopted from 1). The pairwise movement of water molecules prevents the translocation of protons across the membrane. Hence, AQPs contain four selective sites that allow these proteins to distinguish between water and other small molecules (1,7). Human AQP2 is located in the kidney and its main function is to concentrate urine by translocating water across the membrane, thereby facilitating the reabsorption of water. Recently, the crystal structure of human AQP2 at 2.75 Å resolution was presented (8). This structure is shown in figure 5, unveiling an overall tetrameric conformation with a central pore (upper left panel). The six transmembrane domains (in red) of each individual protomer surround a central pore that represents the water-conducting channel (upper right and lower left panel). Functionally important residues of the NPA and ar/R-region within the channel pore are shown in blue (His172 and Arg187) and yellow (Asn68 and Asn184), respectively. These residues function as water-binding sites and allow the membrane translocation of water, while preventing the passage of protons and ions. Under normal physiological conditions, AQP2 resides in intracellular storage vesicles. However, AQP2 is released from its storage vesicles and targeted to the cell membrane when needed, but how is this accomplished? The membrane relocalization of AQP2 is regulated by the hormone vasopressin, which is released by the pituitary gland into the circulation in response to an increased osmolality (dehydration). Binding of vasopressin to its receptor (AVPR2), located on the surface of the cells lining the collecting ducts of the kidney, induces an increase of the intracellular cAMP level. This, in turn, results in phosphorylation of Ser256 in the C-terminus of AQP2 by protein kinase A. The phosphorylation sites are located within the small cytoplasmic C-terminal helix of AQP2 (figure 5, upper right panel). Following phosphorylation, AQP2 is translocated from storage vesicles to the membrane. Once the water balance is restored, AQP2 is taken up by endocytosis and either stored in vesicles or targeted for degradation (9). AQP2 plays a crucial role in maintaining water homeostasis and it is therefore not surprising that its dysfunctioning is associated with different human diseases, including preeclampsia, liver cirrhosis and nephrogenic diabetes insipidus (NID). The latter is a kidney-related pathology of which the clinical manifestations are excessive thirst and urination due to the inability to concentrate urine. A large number of mutations in the gene encoding AQP2 are known that cause NDI (10). These are shown as magenta spheres in the lower right panel of figure 5. The majority of these mutations affect the folding and stability of the protein, which are mainly located in the trans-membrane helices. However, other NDI-causing mutations are found in functionally important residues of the NPA and ar/R-region of the water-conducting channel. Moreover, a few mutations are found in intracellular and extracellular loops, although it is not clear how these contribute to NDI. Since the discovery of the first aquaporin in 1993 (3), their role in maintaining water homeostasis by facilitating transepithelial water transport has been well established. AQPs are small transmembrane proteins ubiquitously present in all cells and high resolution crystal structures of AQPs from different organisms are currently available (1). These reveal a similar overall structure, despite low sequence conservation (figure 6). Each structure comprises a homo tetrameric conformation with a central pore. It has been suggested that this pore is used to transport gasses across the membrane. However, in different structures this pore was found to be blocked by lipids. Each individual protomer contains six transmembrane domains that surround the water-conducting channel pore (figure 6, right panel). Within the channel two areas, the NPA and ar/R-region (boxed residues in left panel of figure 6), are of functional importance. These contain conserved residues that function as water-binding sites and allow the membrane translocation of water, while preventing the passage of protons and ions (1). In humans, 13 AQPs have been identified (AQP0-AQP12). These are expressed in a variety of tissues, especially in cells involved in fluid transport such as renal epithelium cells, salivary gland epithelium and respiratory epithelium. 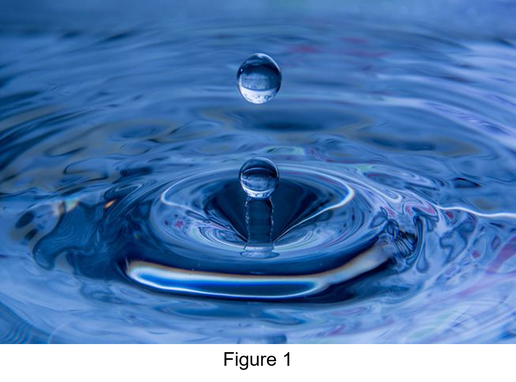 Considering their important role in water transport and the maintenance of a proper water balance it is not surprising that defects in AQPs are closely linked with different human diseases such as brain oedema, diabetes and cancer. 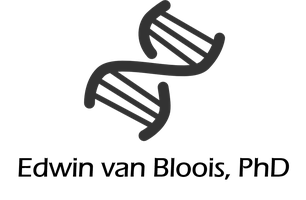 Moreover, different loss-of-function mutations in genes encoding human AQPs have been described, resulting in different pathologies. For example, mutations that impair the function of AQP2 are associated with NDI, while mutations that affect the function of AQP0 are linked with cataract (2,10). The identification of AQPs as etiologic agent has raised the interest in these proteins as possible drug targets. Accordingly, potential AQP modulators have been discovered, thereby opening avenues for therapeutic treatments (2). 1. Kreida S, Törnroth-Horsefield S. (2015). Structural insights into aquaporin selectivity and regulation. Curr Opin Struct Biol. 33: 126-34. 2. Verkman AS, Anderson MO, Papadopoulos MC. 2014. Aquaporins: important but elusive drug targets. Nat Rev Drug Discov. 13: 259-77. 3. Agre P, Preston GM, Smith BL, Jung JS, Raina S, Moon C, Guggino WB, Nielsen S. 1993. Aquaporin CHIP: the archetypal molecular water channel. Am J Physiol. 265: F463-476. 4. Mitsuoka K, Murata K, Walz T, Hirai T, Agre P, Heymann JB, Engel A, Fujiyoshi Y. 1999. The structure of aquaporin-1 at 4.5-A resolution reveals short alpha-helices in the center of the monomer. J Struct Biol. 128: 34-43. 5. de Groot BL, Grubmüller H. 2005. The dynamics and energetics of water permeation and proton exclusion in aquaporins. Curr Opin Struct Biol. 15: 176-183. 6. Horsefield R, Nordén K, Fellert M, Backmark A, Törnroth-Horsefield S, Terwisscha van Scheltinga AC, Kvassman J, Kjellbom P, Johanson U, Neutze R. 2008. 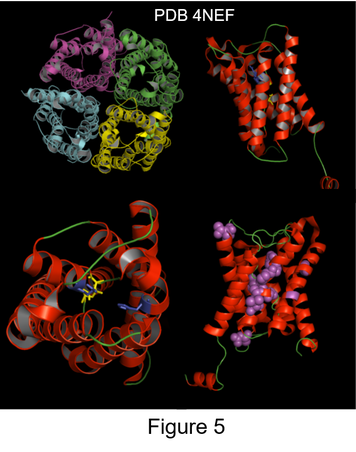 High-resolution x-ray structure of human aquaporin 5. Proc Natl Acad Sci U S A. 105: 13327-13332. 7. Eriksson UK, Fischer G, Friemann R, Enkavi G, Tajkhorshid E, Neutze R. 2013. Subangstrom resolution X-ray structure details aquaporin-water interactions. Science. 340: 1346-1349. 8. Frick A, Eriksson UK, de Mattia F, Oberg F, Hedfalk K, Neutze R, de Grip WJ, Deen PM, Törnroth-Horsefield S. 2014. X-ray structure of human aquaporin 2 and its implications for nephrogenic diabetes insipidus and trafficking. Proc Natl Acad Sci U S A. 111: 6305-6310. 9. Wilson JL, Miranda CA, Knepper MA. 2013. Vasopressin and the regulation of aquaporin-2. Clin Exp Nephrol. 17: 751-764. 10. Moeller HB, Rittig S, Fenton RA. 2013. Nephrogenic diabetes insipidus: essential insights into the molecular background and potential therapies for treatment. Endocr Rev. 34: 278-301.